Pinterest has grown to be one of the fastest growing social networking website out there. It has opened yet newer dynamics for social networking through image sharing. We have now ever increasing number of businesses leveraging it to reach a new audience, increase visits to their websites, and generate leads or retail sales. Case in point: The Next Web, Jetsetter, Allrecipes, Etsy, Organized Interiors, and Petplan Insurance. Now it has turned images into metrics for measuring the popularity and authoritativeness of businesses. With the most recent changes Pinterest is allowing individuals and businesses to see how many pins their websites are getting from visitors. Pinterest has launched Pinterest Web Analytics along with a new refurbished look of Pinterest. 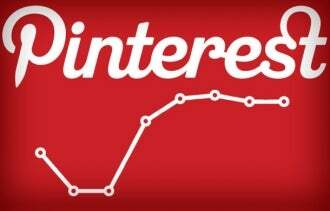 Pinterest Web Analytics allows individuals to see how people are interacting with pins that originate from their websites. This is not just limited to website owners but you can also track pins originating from your blogs as well. So want to get started with it? Let me walk you through it. – 1. You will have to get the new look for Pinterest first. You can do this by going to the dropdown on your profile button on the upper right corner and select “Switch to the New Look”. Now you are set to go ahead. – 2. Now you need to verify your website. This means you need to add the Pinterest Web Analytics tracking code to your website. Start by going to your profile. – 3. Click on the pencil icon on the bottom right of you profile card. You will be able to specify your website from here. 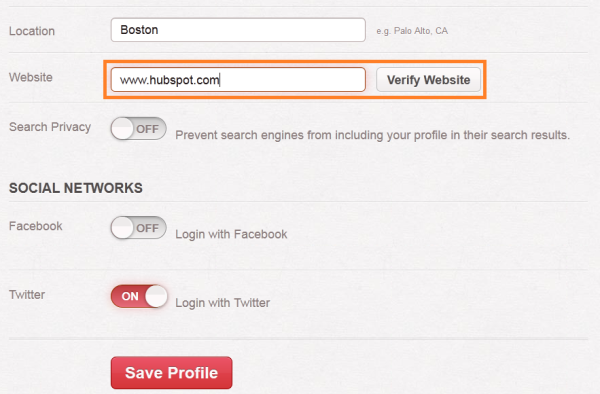 After you enter it you should be able to click on the “Verify Website” button. – 4. A new box should open up offering you the code. You have two options: Download a verification file for your website or get a generated META code for your site. Those who want track their blogs should use the Meta tag by modifying their templates. – 5. Once the tracking code is in place log in to Pinterest again and from the profile menu navigate to Analytics. So go ahead and set up your websites and see how much Pinterest activity you are generating from your site.